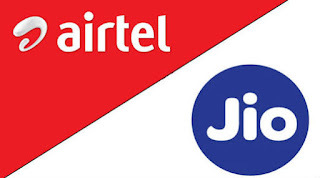 Bharti Airtel, the country's largest telecom services operator, has two plans with a validity of 28 days that guarantee 3GB and 3.5GB or gigabytes of data per day in prepaid recharge packs worth Rs 549 and Rs 799 respectively. 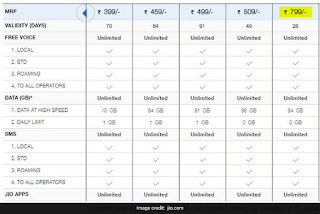 Reliance Jio also offers 3GB data per day in its prepaid recharge plan priced at Rs 799. Both the operators are engaged in a fierce data price war in a bid to garner more customers. Jio, which started its operations last year, has had a disruptive effect on the sector. Thus, incumbent operators are going all out to offer competitively-priced prepaid recharge plans. 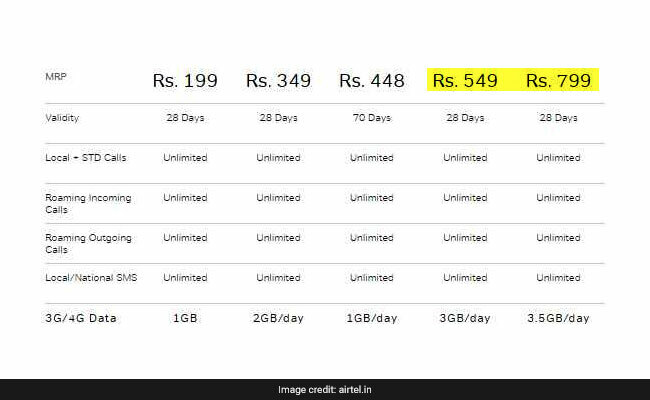 This prepaid recharge plan of Airtel offers 3GB 3G/4G data per day for 28 days. Local, STD, roaming incoming and outgoing calls as well as local and national SMSes o short message services are unlimited under this prepaid recharge plan. 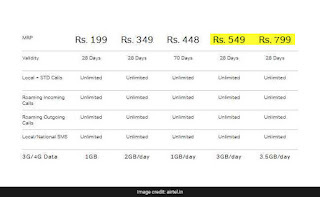 This prepaid recharge plan of Airtel offers 3.5GB 3G/4G data per day for 28 days. Local, STD, roaming incoming and outgoing calls as well as local and national SMSes are unlimited under this prepaid recharge plan. The daily high speed data limit offered in this Jio prepaid recharge plan is 3GB. After a user consumes this limit, data speed reduces to 64 Kbps. The maximum data available at high speed in this recharge pack is 84GB. This pack also offers unlimited and free local, STD and roaming calls to all operators. Local, STD and roaming SMSes across all operators are unlimited. This recharge pack is valid for 28 days, according to Jio.